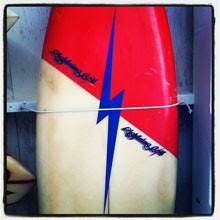 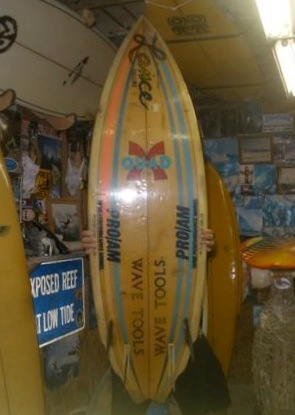 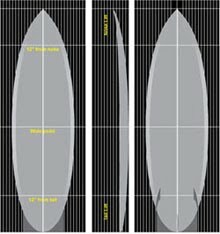 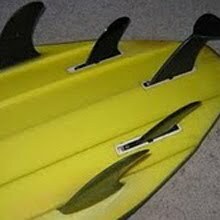 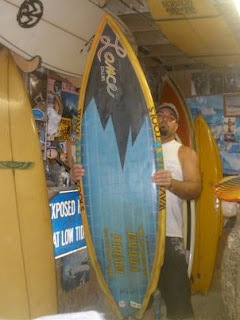 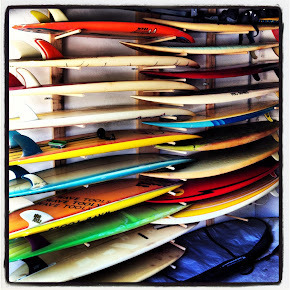 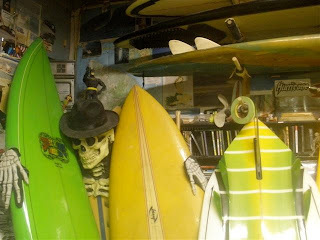 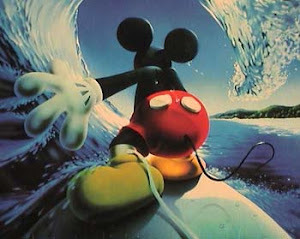 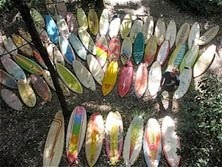 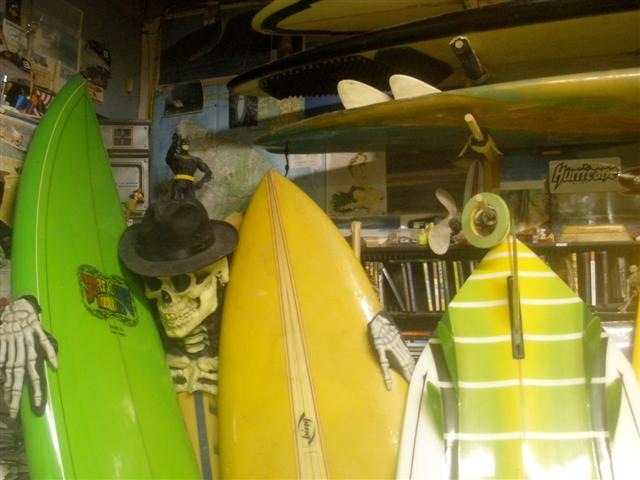 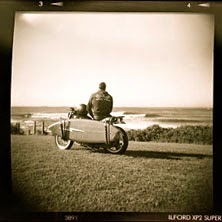 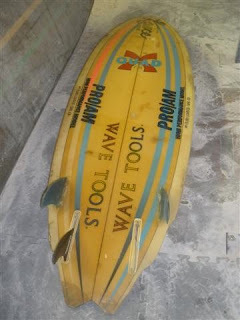 : Board Collector: Wave tools quad fin. 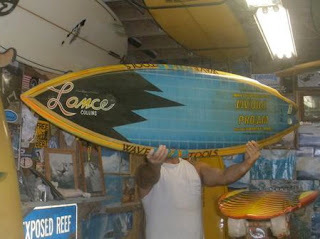 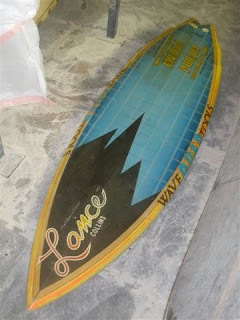 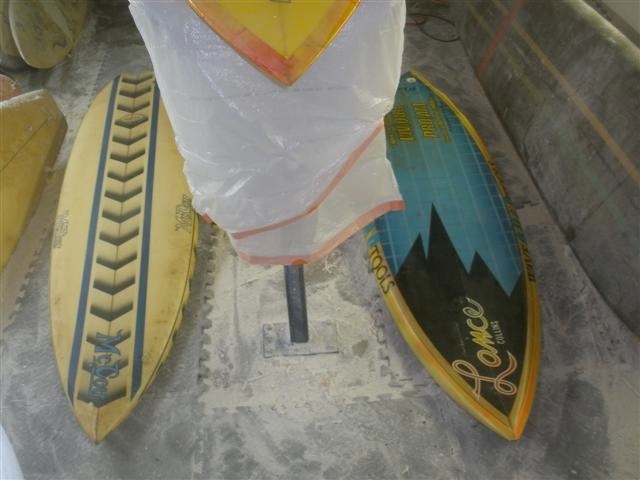 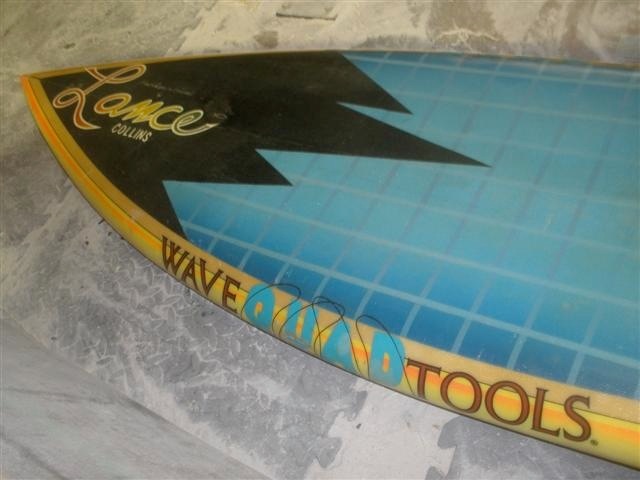 To flame the fires of my obsession, Tim from Kona has sent me some pics of his mid 80's Lance Collins Wave Tools double fly quad fin with adjustable rear fins similar to the one above that's featured in Jeff Parker's Echo Beach documentary. 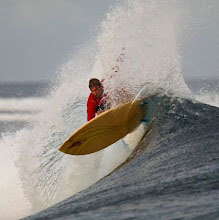 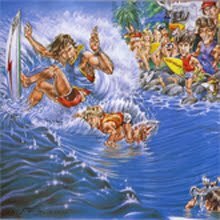 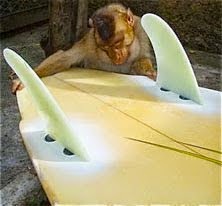 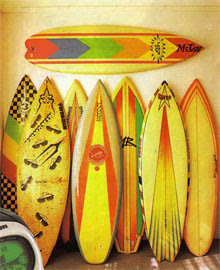 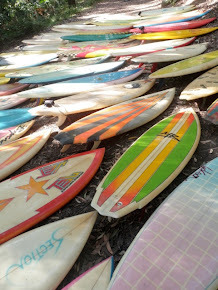 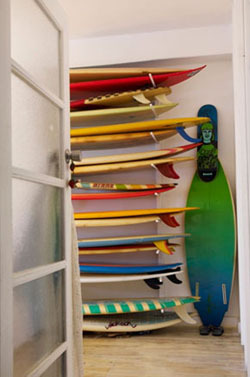 A time when too many decals were never enough and surfers paid for big loud stickers to put on their boards to look like they were sponsored regardless of their surfing ability.